Life Aid Extra. pk48. Oral rehydration for calves. 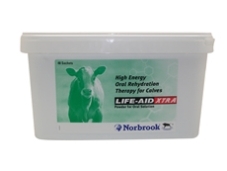 Reverses the process of dehydration, electrolyte loss and acidosis in scouring calves.